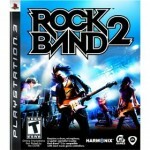 Here’s a great deal on Rock Band 2 for PS3, PS2, Xbox 360 and Wii — the game is specially priced at just under $20 for all platforms. For Xbox 360 and Playstation 3, that’s 60% off the regular price of $49.99. The Special Edition is also being discounted down to $99, which amounts to 40% off the regular price of $139.99. Other game deals at Amazon include discounts on Need for Speed: Shift, NHL 10, and NBA Live 10. Check out all of Amazon’s Black Friday video game deals.